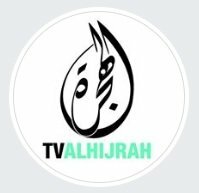 Religious TV Channel / TV Alhijrah is a state-owned free-to-air television network in Malaysia, which is owned and operated by Al Hijrah Media Corporation, a government owned company. It broadcasts from its headquarters in Islamic Centre, Kuala Lumpur. It was officially launched as it started broadcasting on 7 December 2010. TV AlHijrah is known as the first free-to-air Islamic and HD television station in Malaysia.